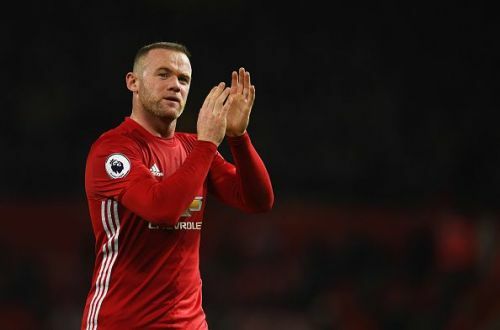 Manchester United legend and DC United striker Wayne Rooney has admitted that he would not be able to see Liverpool win the Premier League title, stating that it would be a 'nightmare' for every Evertonian. The race for the Premier League crown is heating up as Liverpool and Manchester City are fighting neck-and-neck to get ahead of one another. Jurgen Klopp's side currently sit at the top of the English top flight, two points clear of Pep Guardiola's defending champions, who still have a game in hand. Liverpool is looking to win their first league title since 1990 and look closer than ever to achieve their decades-long ambition. "I can't think of a worse scenario than City and Liverpool being in a two-team title race. Anyone who has associations with United hates the way the title race is right now, but I suppose I would rather see City win it than Liverpool if I had to pick. The saying goes it's the better of two evils right!" "Also, Man City don't have many fans, so they won't give me too much stick if they win it. Liverpool have fans everywhere and we'd never hear the end of it." "It’s a great reason to be out the country when those two are going head to head for the title." The Englishman added that if he had to pick a winner, it would be Manchester City. "I hope Man City get over the line before Liverpool. I couldn’t bear to see them win it, it would be a nightmare for any Evertonian." "I remember in 2005 they won the Champions League and they’re still talking about it now so it would be another 10 or 15 years of that!" While Liverpool will next face Tottenham Hotspur on March 31, Manchester City will lock horns with Fulham on March 30.